‘Dare to dream, and be brave enough to take opportunities when they come your way.’ This is the advice of gospel singing sensation, Mkhululi Bhebhe, who is fast making a name for himself abroad and proving that despite obstacles, Zimbabweans are successfully pursuing their dreams. The 34-year-old’s breakout opportunity came on DStv’s Idols Africa show back in 2008, when Mkhululi claimed a coveted position in the show’s Top 6 group. This set his fledgling career in motion, paving the way for him to join the South African gospel ensemble, Joyous Celebration Choir. During this time he rose to fame within the group with Zimbabwean hit songs such as Tambira Jehovah, Ichokwadi, Namata, Hakuna Zvinorema and Zvamaronga. Mkhululi has since left the choir and is currently pursuing a highly successful solo career. “My Idols Africa experience made me realise I could actually make something out of myself in the music industry. At that time I had no idea that the call for music would lead me to South Africa, but it did, and it has been an amazing journey. It all started with a single opportunity provided by MultiChoice Zimbabwe on DStv’s Idols. I would encourage Zimbabweans to grab all these opportunities and run with them, because you never know when the tipping point will be. I am living testimony of how such an opportunity can change your life. To date I have travelled all over the world because I dared to take a chance on an opportunity,” he says. 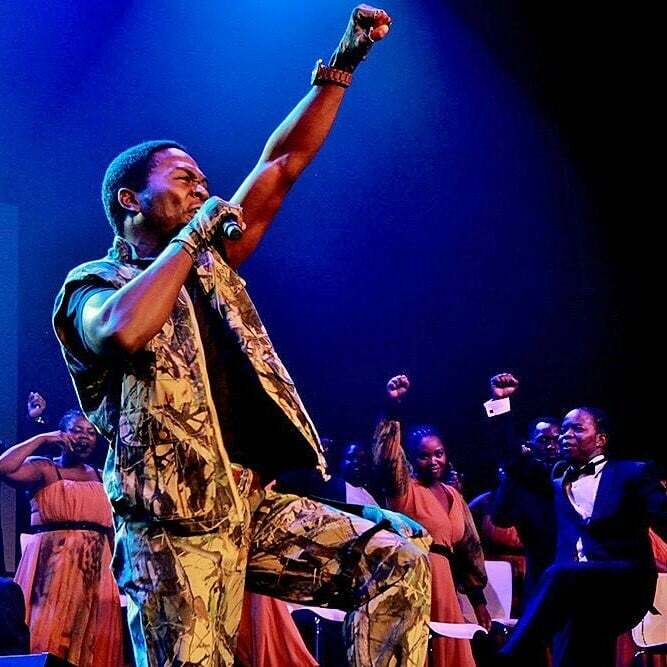 In December 2017, Mkhululi recorded his first self-funded live solo CD and DVD in South Africa. He released the album last year in Bulawayo at the Zimbabwe International Trade fair (ZITF) to great acclaim. Some of the much-loved songs on the CD and DVD include Kuyangimangaza, Zvamaronga, A bung Neng (The Good Name) and Ndiyeyu Jesu Medley. The album marks the culmination of Mkhululi’s experience over the past decade, which has included touring 23 countries as a solo artist, from Suriname, Trinidad and Tobago, to China, USA, the United Kingdom, New Zealand and French Guyane. On the continent, his career has taken him to Ghana, Kenya, Lesotho, Namibia and Swaziland. “I believe music is a universal language that can cut across any culture, in any country. In the future I see myself rising as a voice on global issues affecting society. I believe I have been given this platform so that I can be a voice for those who cannot speak for themselves, like children suffering from hunger and abuse, the elderly, and women and men in need. With the help of initiatives from MultiChoice, I believe this is an achievable goal, that can begin right here at home in Zimbabwe, and spread across Africa, and even the rest of the world. I believe in using my influence to promote global peace and harmony,” says Mkhululi. This sentiment reflects MultiChoice Zimbabwe’s promise to use entertainment to enrich people’s lives. It also points to the company’s standing as a brand rooted in the local communities in which it operates, as well as a socially conscious brand dedicated to having a positive impact in local society. Mkhululi believes Zimbabweans have the talent, the ambition and the determination to shine on local and global stages. This idea is directly aligned with MultiChoice Zimbabwe’s aspiration to tell Zimbabwe’s stories – a critical component of the company’s skills development incubator, the MultiChoice Talent Factory (MTF). Launched last year, MTF aims to ignite Africa’s creative industries’ to boost the quality of local film and television programming, and create a pipeline of great stories across the continent, including in Zimbabwe. Further to this, MultiChoice Zimbabwe continues to support the local arts, entertainment and creative industry through its sponsorship of the Zimbabwe International Film Festival Trust (ZIFFT), International Images Film Festival For Women( IIFF), Shoko Festival and Ngoma Awards, all of which encourage Zimbabweans to tell their stories. In reflecting on his own story, and the subsequent chapters that opened for him after appearing on DStv’s Idols Africa, Mkhululi encourages all young Zimbabweans, no matter their personal circumstances, to remain steadfast in their dreams and never give up hope.